Last week we witnessed the consequences of a pre-existing fault in our economic governance. 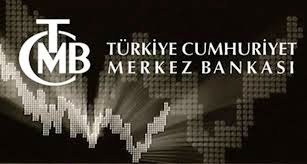 A profound disagreement on monetary policy appeared clearly between Prime Minister Recep Tayyip Erdoğan, supported by his inner circle, on one side, and the Turkish Central Bank, supported by Deputy Prime Minister Ali Babacan and Finance Minister Mehmet Şimşek, on the other. The battle over monetary policy raged for the whole week. The prime minister opened fire in an interview with a journalist last Sunday, in which he expressed harshly his discontentment with the interest rate level, which he believes is extremely high. Erdoğan belittled the Monetary Policy Committee's (PPK) recent decrease of 0.5 percentage points in the policy interest rate (the one week repo rate). "Are you kidding? You raised the rate five points at once [in January of this year], and now you are reducing it by half a point,” he said, adding that the bank “needs to get its act together.” The prime minister continued his acerbic criticism on Tuesday when addressing deputies of the Justice and Development Party (AKP). He made it clear that the central bank has been unsuccessful in fighting inflation since the inflation target (5 percent) is continually missed. According to Erdoğan, high interest rates are the cause of inflation, rejecting standard economic theory, which says the opposite. Moreover, he claimed that there is no link between interest rates and the exchange rate, defying not only a basic principle of open economy macroeconomics but also the lessons from the Turkish economy's experiences in the past. In his speech he could not stop himself from exclaiming to the central bank's management, “That's enough now!” I think he could not be more explicit in demanding the resignation of the governor of the central bank. However, Turkish Central Bank Governor Erdem Başçı said in Lisbon on Monday that domestic interest rates should be higher than rates in international markets “to control loan growth” as an implied response to Erdoğan. The central bank also made clear in its last inflation report (in April 2013) that it sees room for a gradual lowering of interest rates but will stay tight until there is an improvement in the inflation outlook. The recent decrease of the policy rate by 0.5 percentage points must be interpreted in this context. Let me recall that I defended a limited loosening of monetary policy before the meeting of the PPK (see my column “Turkish lira is rapidly appreciating,” May 13). Deputy Prime Minister Babacan and Finance Minister Şimşek tried to calm the crisis with various statements, claiming that the central bank's independence constitutes a critical element of macroeconomic stability and stating that the central bank is on the right track. But I do not think their efforts will be sufficient to put out the fire. The prime minister's attitude makes it clear how uncomfortable he is with the principle of the central bank's independence. This is not the first time we have heard Erdoğan ranting about monetary policy, but this time I think the consequences at stake are quite serious. Either the AKP government has to change the central bank law that provides policy independence to the central bank or change the bank's management and nominate new management that shares the ideas of the prime minister on how to conduct monetary policy. The reactivated fault will move and cause an earthquake in the future, but the timing is difficult to predict, as is the case in geology. The prime minister and his inner circle are not happy at all with the ongoing low economic growth, which is around 3 percent at best. As I noted in my last column, this growth is not enough to guarantee a victory in the next general elections to be held within a year. Erdoğan has complained that high interest rates prevent investment. "It's a pity, it's a sin. Will there be any investment in a country with such rates?" he questioned.